The security deposit return letter is a receipt that is used by the landlord at the end of a rental period. The funds should be sent to an address given by the tenant and should be sent, by law, in accordance with the time period as mandated by the State. The money should include any collected interest and be sent minus any and all damage or fees stated in the lease agreement. 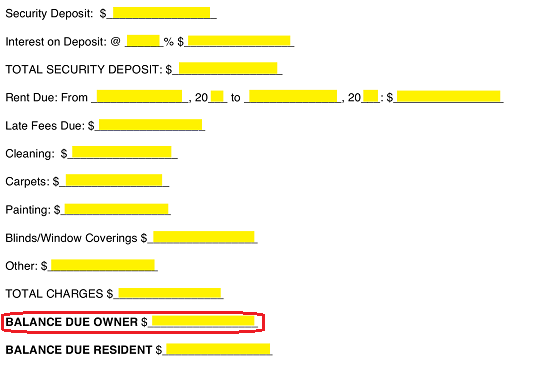 Below are the maximum time periods the landlord has in order to return the deposit to the tenant in addition to where the law can be found (if applicable). When a lease agreement concludes successfully oftentimes, a Security Deposit made by the Tenant will have to be addressed. The template on this page, obtainable as a Adobe PDF, Microsoft Word (.docx), or Open Document Text (.odt), will facilitate delivering some crucial information that should accompany this discussion. Download this form then use it when required. 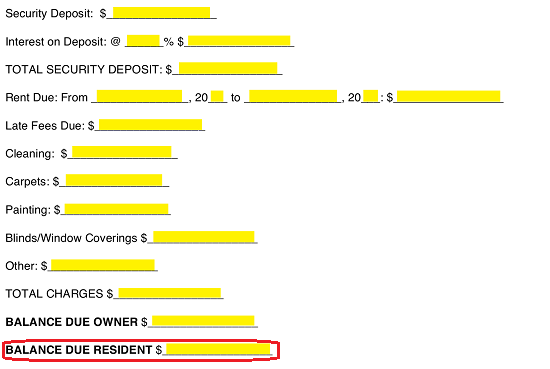 The first area of this document must have certain items supplied to it. 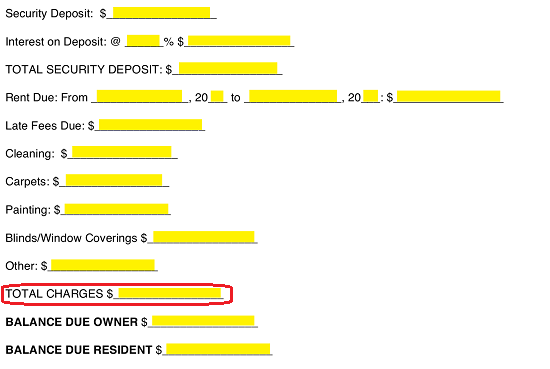 First, record the Name of the Recipient on the blank line after the word “To.” Now, use the next four blank lines after “For Premises Located At” to document the Building Number, Street Name, “Apt” Number (if applicable), “City,” and “Zip” Code of the Rental Property this Security Deposit concerns. 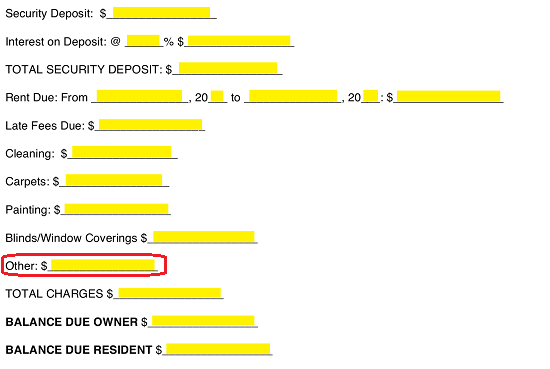 The first blank line, labeled “Security Deposit” should have the original amount the Tenant submitted as Security at the start of the Rental Agreement displayed on it. Enter this information numerically after the Dollar Sign. 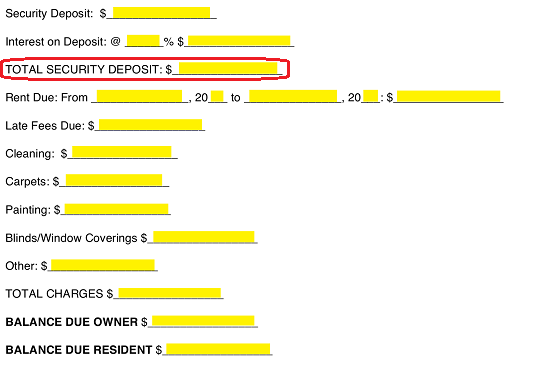 Most, if not all states, will require the Security Deposit kept in an interest-bearing account. 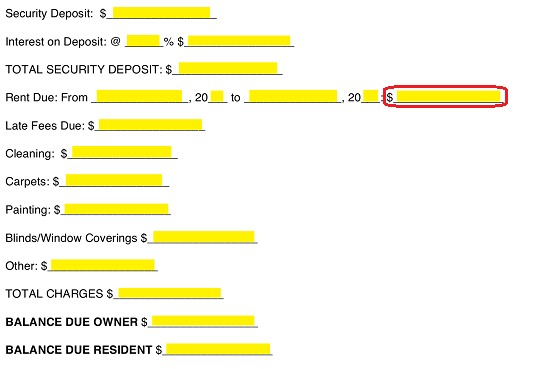 You will need to record the Interest Rate for the Account where the Security Deposit and the Dollar Value of the Interest the Security Amount has accrued since the account was opened. 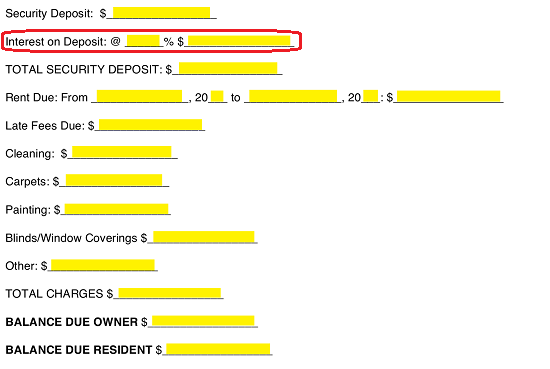 Record the Interest Rate of this account on the blank space after “Interest On Deposit @” and before the “%” sign. Then on the next blank line, enter the Dollar Amount of the Interest this Account has gained. 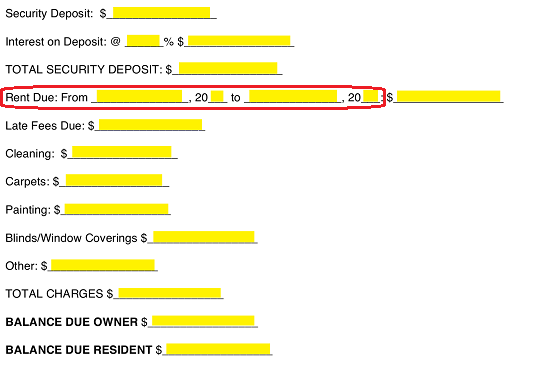 Once this has been supplied, furnish the Dollar Amount of the Security Deposit plus the Interest gained on the blank space just after the label “Total Security Deposit.” This should be the total dollar amount held int he Security Deposit Account opened for the Tenant’s Lease. We will need to define some facts regarding the lease along with some of the finances that may be involved. 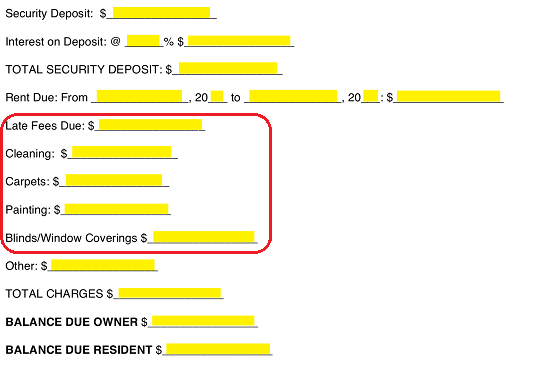 Furnish the time-frame when the Tenant was paying rent (as per the Rental Agreement) by producing the first Month and Year rent was paid on the first two blank lines after the words “Rent Due: From” and the last Calendar Month and Year when the rent was paid on the two blank spaces. 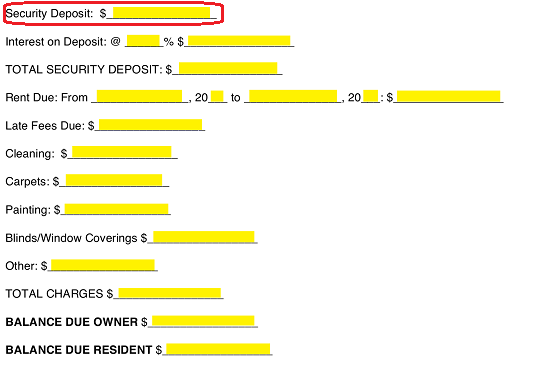 Supply the Monthly Rent Amount that was paid during the defined Time Period on the blank space preceded by the Dollar sign on this line.